Sometimes you need a really simple way to get all the goodness of nature's favourite greens in one go. That's where super greens comes in. 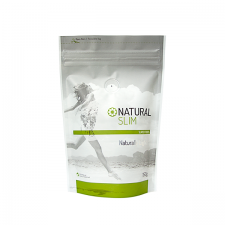 Natural Slim's Supergreens Blend is a super-duper combination of the four of nature's healthiest and nutrient-rich greens. What to know more? SEE PRODUCT DESCRIPTION. As well as being high in fibre, alfalfa powder is very high in calcium, which actually helps the human body use stored body fat as energy. If you want to lose some body fat, alfalfa powder supplement could really help speed up the process. Alfalfa is a powerful natural detox and cleanser, and has a strong diuretic effect, useful if you suffer from fluid retention particularly at certain times of the month. If you are just looking to maintain your weight, alfalfa still offer amazing and unique benefits: aiding digestion. What to know more? SEE PRODUCT DESCRIPTION. Barleyleaf is naturally high in enzymes that have anti-inflammatory properties. It provides generous amounts of natural chlorophyll which has a purifying effect on the body, helping it eliminate toxins which can contribute to the ageing process and damage the body's cells. What to know more? SEE PRODUCT DESCRIPTION. Wheatgrass is high in iron, calcium, magnesium, potassium, manganese and phosphorus. This benefits your energy levels, bones, hair and skin, heart health, nervous system and blood vessels. Women have a particular need for the minerals and vitamins in wheatgrass, especially when they are dieting and exercising. What to know more? SEE PRODUCT DESCRIPTION. Like all high-protein real food supplements, spirulina is packed with naturally occurring multi vitamins, essential amino acids, and essential fatty acids all of which will support your health, wellness and digestion as you eat well and exercise regularly. It's especially high in iron, calcium and magnesium, making it particularly suitable to women who have a great need for these important minerals. What to know more? SEE PRODUCT DESCRIPTION. Maca root is an exciting superfood with an ancient history. It's particularly useful and relevant to women due to its amazing ability to balance hormones. Powdered maca root is a useful addition to any woman's weight loss nutrition because it's so nutrient dense and packed with benefits. What to know more? SEE PRODUCT DESCRIPTION. If you haven't heard about acai berry yet, prepare to meet one of nature's best superfoods for women who want to live a healthy fat-loss lifestyle. We use only the finest acai berry crops to bring you a pure acai berry nutritional supplement which is easy to fit into your day. Want to know more? SEE PRODUCT DESCRIPTION. Psyllium husk is an all-natural high fibre supplement which is very healthy, containing just one single ingredient. It's an excellent product to take whilst losing weight, as it has almost immediate benefits for the digestion, helping shift blockages, clear toxins and leave you feeling lighter and slimmer with a flatter tummy. What to know more? SEE PRODUCT DESCRIPTION. Flaxseeds are a really useful store cupboard item for anyone on a weightloss, fat loss or weight maintenance journey. Not only are they a great source of energy, rich in natural proteins and omega 3 fatty acids, but they are so good at helping healthy digestion that they will keep you regular, helping rid your body of toxins, and flattening your tummy as you slim. What to know more? SEE PRODUCT DESCRIPTION. Our LSA blend is a delicious, healthy and highly nutritious blend of three seeds and nuts. We've chosen the best quality linseed (also known as flaxseed or golden flaxseed), sunflower seeds and almonds for their nutrient content, mineral profile and balanced ratio of healthy omega fatty acids. The result is a deliciously sweet nutty tasting mixture which is an useful addition to your daily fat-loss diet. What to know more? SEE PRODUCT DESCRIPTION. © Copyright 2016 Bulk Powders.